See Aasif Mandvi before he got famous (I did- he visited an youth center where I volunteered)! While he was pretty awkward with the teens (he’s a single guy with no kids), the theatrically-trained actor has become a name in comedy, thanks to The Daily Show with Jon Stewart. Recently, he relased his funny memoir- No Land’s Man. Mandvi recently commented that the romance was tacked on to market the story, but it’s essentially a story about dealing with your past (in this case, one’s heritage and father) in order to move forward in life. NYC-based sous chef Samir (Mandvi) is passed over for a much-anticipated promotion by his egotistical boss/chef, Steve (Dean Winters of Oz and SVU fame). He goes back to check out how things are going in the family restaurant (Tandoori Palace) in the old ‘hood. 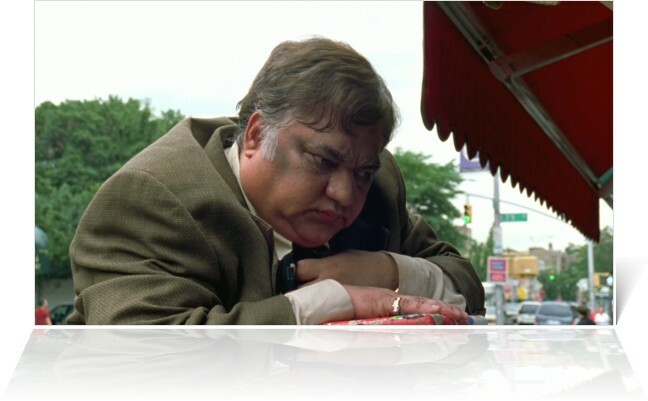 This film was mainly shot inside an Indian restaurant in my old ‘hood (Jackson Heights, Queens) in the Summer of 2008. (I noticed that there was a covering around it for a few days, with a few young PAs hanging about.) His father Hakim (Harish Patel, an Indian TV star) is shocked to see Samir out of the blue. 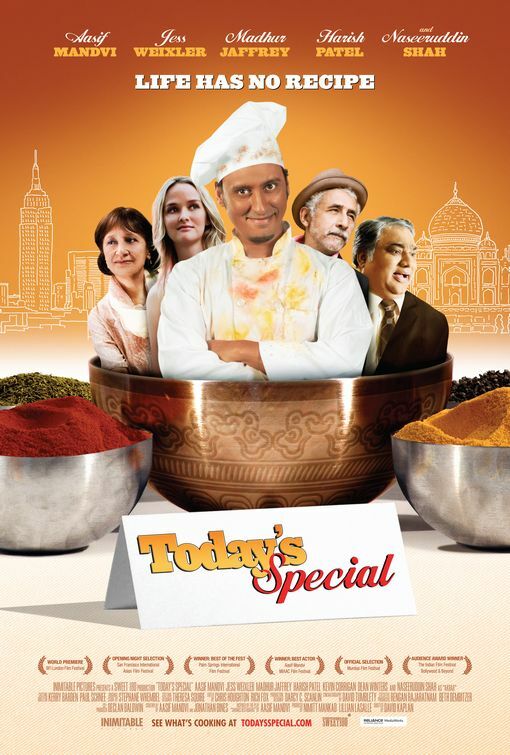 Suddenly, a health issue forces Hakim to rest at home, and Samir takes over the restaurant. 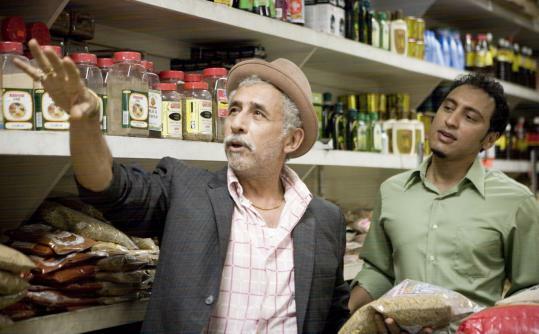 Samir, who knows nothing re: Indian food, luckily meets Akbar (Naseeruddin Shah, a veteran of international cinema)- a horrid taxi driver but masterful chef. Shah steals the film with his charm, humor, and laid-back style. Rarely has an elderly desi man been so cool! This is one father-figure that understands Samir easily, unlike his own dad. 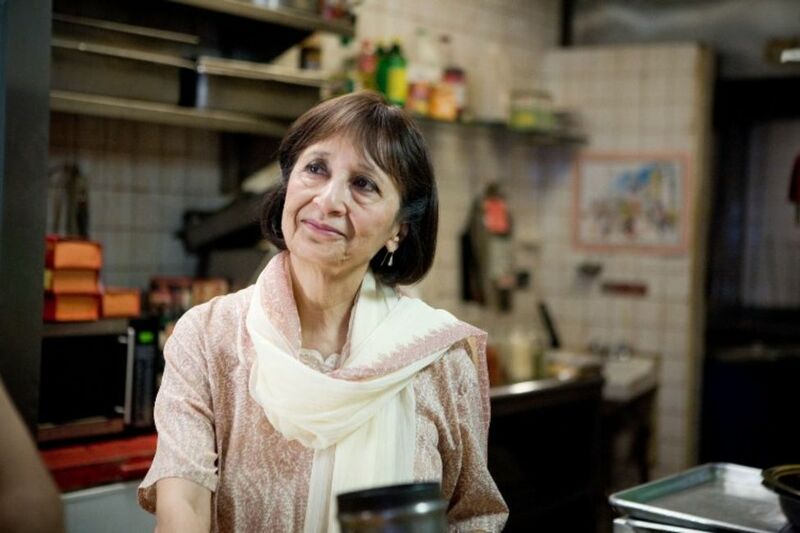 Ironically, actress/cookbook author Madhur Jaffrey (mother of Mandv’is close pal, Sakina) does no cooking here! (Sakina Jaffrey played the VP on House of Cards recently.) She plays Samir’s matchmaking mom, Farida, who sets him up on dates w/ Indian-American women via an online database (like Shaadi.com). LOL… or is this getting TOO real for some of you? There are some touching scenes in this film, aside from the relatable comedy (esp. for desi Muslims out there). Check this film (on Netflix now) out ASAP!